Celia Shortt Goodyear/Boulder City Review Eric Pardee of Wild Tonic gives a sample to a guest at the 2018 Boulder City Beerfest on Saturday. Celia Shortt Goodyear/Boulder City Review Friends from Kingman, Arizona, from left, Jenna Harnisch, Jeff Hoehne and Joe Fellers, enjoy the 2018 Boulder City Beerfest on Saturday. Fellers is from Black Bridge Brewery in Kingman, and this year was his fourth at the festival. 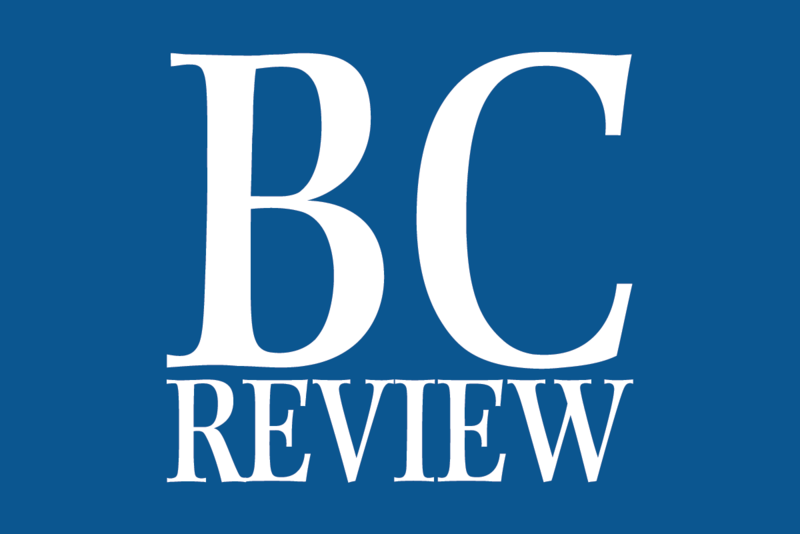 Celia Shortt Goodyear/Boulder City Review The Beer Bunny hid eggs at the 2018 Boulder City Beerfest on Saturday for children of all ages to find. 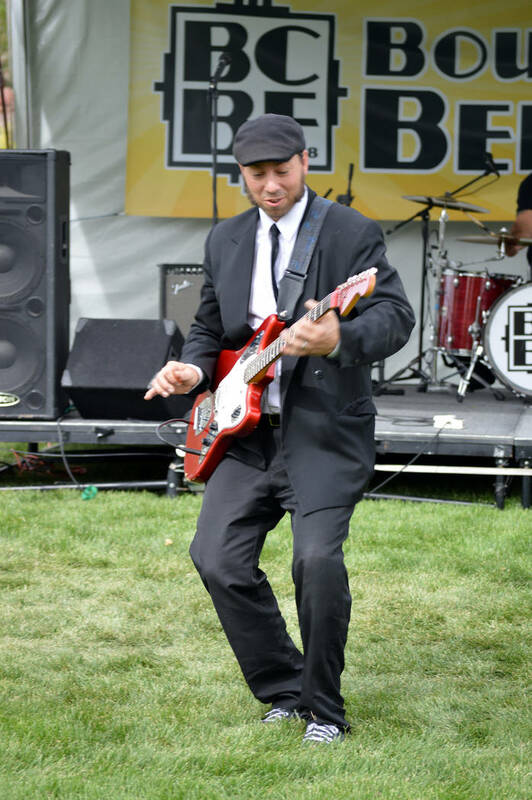 Celia Shortt Goodyear/Boulder City Review Jesse Del Quadro of Thee Swank Bastards plays the crowd at the 2018 Boulder City Beerfest on Saturday. 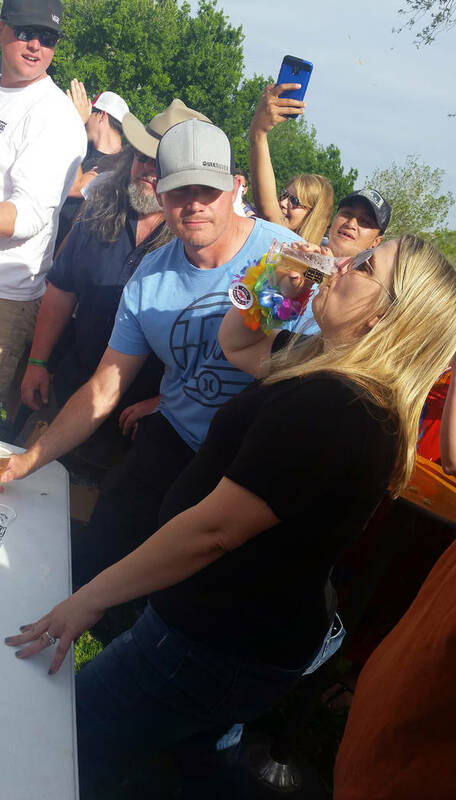 Celia Shortt Goodyear/Boulder City Review Tara Perkins chugs a beer during the beer relay at the 2018 Boulder City Beerfest while her husband, Mark, waits for his turn. Celia Shortt Goodyear/Boulder City Review Crowds packed Wilbur Square Park on Saturday for the 2018 Boulder City Beerfest. 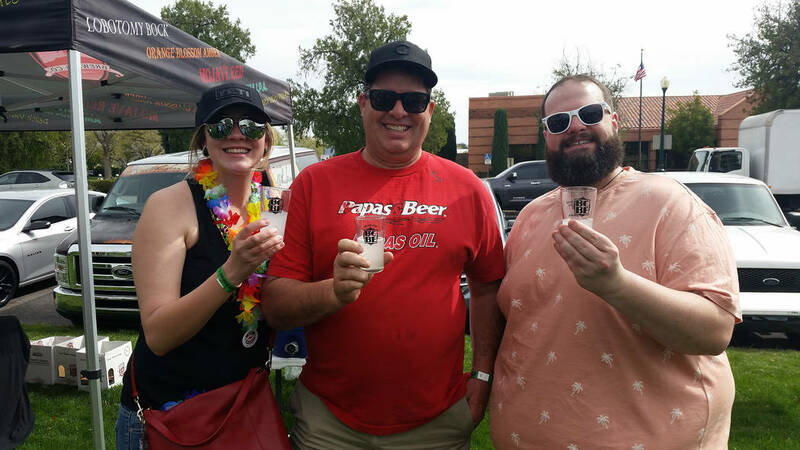 Friends from Kingman, Arizona, from left, Jenna Harnisch, Jeff Hoehne and Joe Fellers, enjoy the 2018 Boulder City Beerfest on Saturday. Fellers is from Black Bridge Brewery in Kingman, and this year was his fourth at the festival. 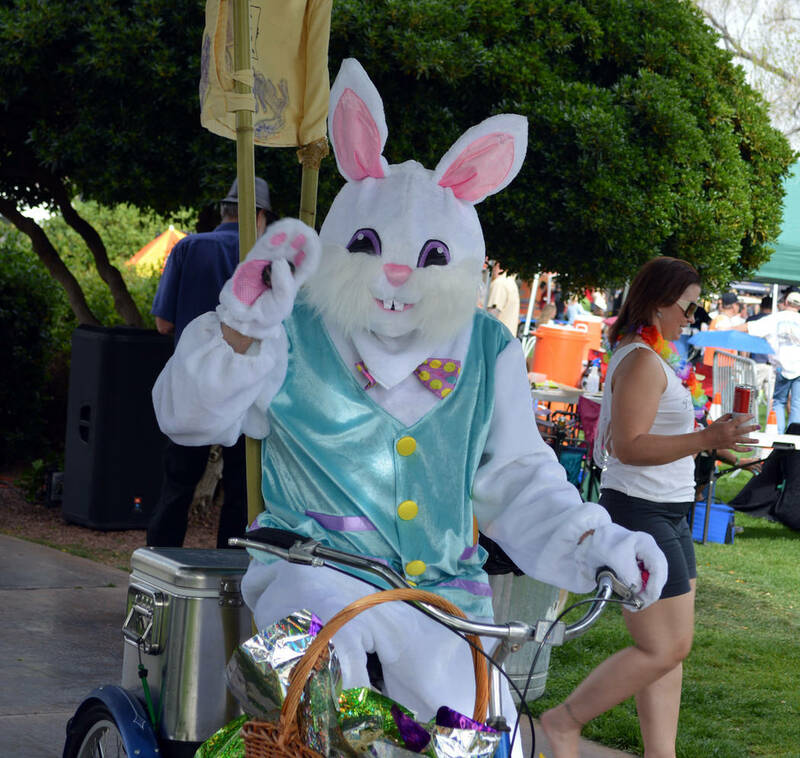 The Beer Bunny hid eggs at the Boulder City Beerfest for children of all ages to find. Jesse Del Quadro of Thee Swank Bastards plays to the crowd at the Boulder City Beerfest. 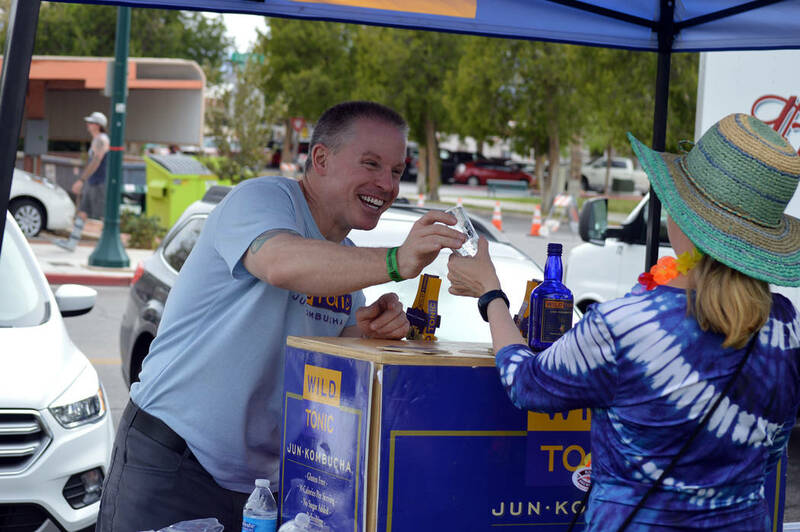 Eric Pardee of Wild Tonic gives a sample to a guest at the 2018 Boulder City Beerfest. Tara Perkins chugs a beer during the beer relay while her husband, Mark, waits for his turn. 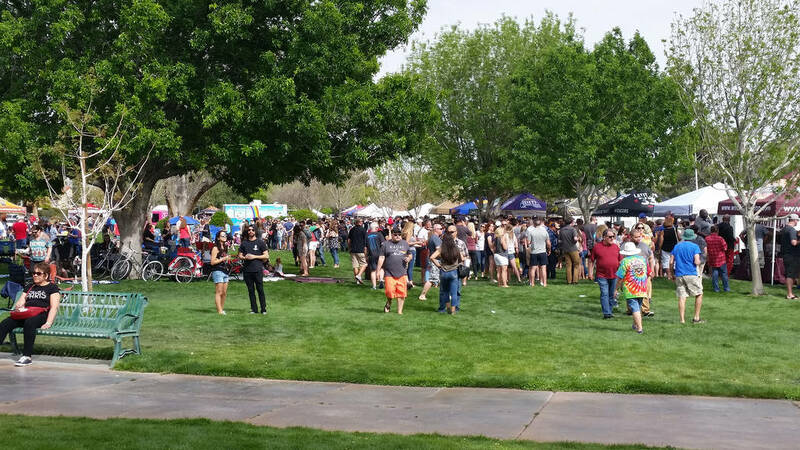 Crowds packed Wilbur Square Park for the Boulder City Beerfest.